Since Summer 2016, Erdoğan’s regime made the campaign against Fethullah Gülen and his followers a main goal of his domestic and foreign policy. The rule of law and the independence of Turkey’s judiciary, in lower courts in particular, have been seriously compromised since the failed coup in July 2016. More than 110,000 public sector workers, 9,000 police officers and 6,000 members of the military have been dismissed since then. Some 12 NGOs, many newspapers, TV channels and Radio stations closed under Recep Tayyip Erdoğan’s regime persecution while thousands of civilians, included old people and children, and hundreds of journalists are jailed. The majority of those jailed or dismissed were accused by Erdoğan of having links US-based cleric Fethullah Gülen, who Erdogan blames for plotting the failed coup. 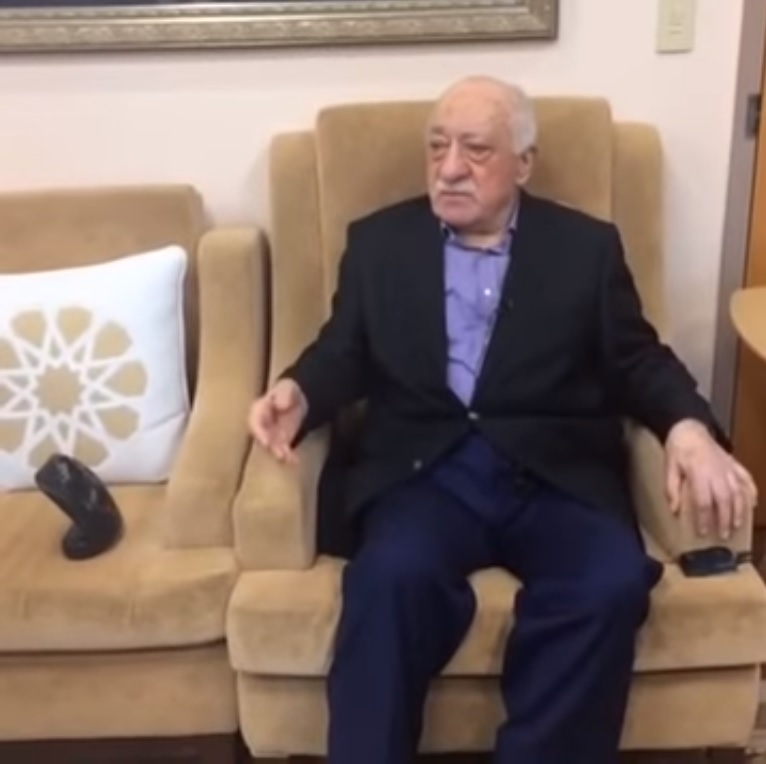 Gülen, has denied involvement. He has lived in self-imposed exile in Pennsylvania since 1999. More than 250 people were killed in the failed putsch, while killings and hunting against the opposition, mainly against the Gülenists, continued. Now Erdoğan rewards killers and ‘hunters’ and offers them money. In that way human ‘hunting’ becomes lucrative! In particular the Turkish pro-government daily Yeni Safak reported on March 5 that those who either helped to capture or kill the members of Gülen movement have been rewarded with ‘Homeland Awards’. The story written by Burak Dogan said those who helped the capture or killing of the Gülen movement or PKK members have been rewarded. According to the newspaper, 249 people have been paid 19 million TL and the list of these ‘patriots’ are being kept secret by the Ministry of Interior. After the directive of the reward has been accepted by the relevant ministry on August 31 2015, authorities have received many tip-offs from voluntary citizens. The newspaper has also reported that the rewards were personally given by the governates and those who received the prizes are being kept secret. In July 2017, Turkish media reported that Turkey attempted to upload the names of 60,000 people to Interpol’s database. Most of these 60,000 were targeted because they were suspected of being followers of Gülen. Turkey is also seeking new ways to intimidate critics who have found refuge abroad. Ankara’s latest innovation is Teror Arananlar (“Terrorist Wanted”), an official government website that the Turkish National Police uses to search for wanted people. As well as listing members of terrorist groups such as the Islamic State, the website lists well-known and outspoken human rights activists, journalists, and other dissidents as terrorists. In some cases, the government is offering hundreds of thousands of euros in reward money for information. Local and international human rights groups have criticised repeatedly measures applied by the regime. On July 208, Gauri van Gulik, Europe director at Amnesty International, said: “Under the cloak of the state of emergency, Turkish authorities have deliberately and methodically set about dismantling civil society, locking up human rights defenders, shutting down organizations and creating a suffocating climate of fear”. “Apart from the clearly autocratic nature of the recently introduced presidential system, which lacks the necessary democratic checks and balances, it is impossible to ignore the further regression of the rule of law with over 50,000 people, including journalists, politicians and human rights defenders, still in jail since the attempted coup and 150,000 civils servants dismissed without proper legal procedures,” said European Parliament Rapporteur Kati Piri on November 2018. In an interview to European Interest, Abdullah Bozkurt, Ankara’s former bureau chief for Zaman’s English-language edition, once the largest in circulation in Turkey, said that “Erdoğan has built a new Berlin wall all around Turkey to stem the escape from mass persecution and turned Turkey into an open prison”. Last February more than 600 people were arrested by police for alleged links to the network of Gülen. As reported by the state news agency Anadolu, Ankara’s public prosecutor confirmed that officials had sent, to authorities in 75 provinces, the names of 1,112 people under investigation over suspected ties to Gülen and his movement.